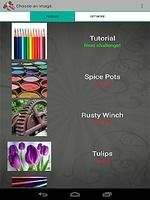 Spectrum Puzzles: One of the most highly rated games in the Android appstore at Amazon.com A fun puzzle game with varied and high quality images. This program is an Android app in the "Games" category. 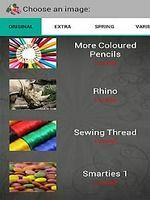 This app is the result of the work of MultiPie Ltd and has received a rating of 3.9 out of 5 from Internet users. 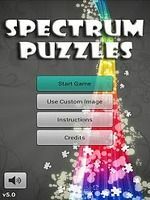 Spectrum Puzzles free is not the most popular application in the Games category but may become a reference, so it has already been downloaded 100,000 times. This program has been downloaded 100,000 times, for free! Finally, don't delay any longer to download this application, you won't have to have any problems to download it.